Meet Tom, Your Tour Guide! My name is Tomislav, or Tom for friends (some also call me Tommen, but I still haven’t got used to it:-). I am the owner/manager of Manus Regis, the touring company that operates this website that specializes in thematic tours inspired by the popular HBO’s TV-show “The Game of Thrones”. I’ve been working in the tourist industry for over 15 years now, either for hotel enterprises or local and foreign travel agencies, however I found the touring business to be most rewarding. 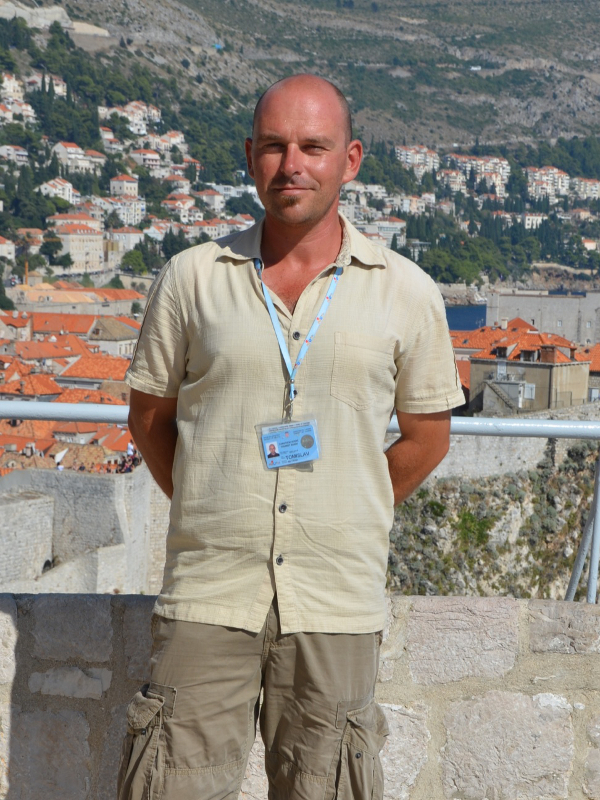 In 2007 I became an official tour guide for the UNESCO world heritage site of Dubrovnik and from 2011 this is my full-time profession. Another important thing happened in 2011: the HBO decided to ambient the second season of “The Game of Thrones” in Dubrovnik. As I was also a fan of George R.R. Martin’s “Song of Ice and Fire” saga, I realized that Dubrovnik’s new image as King’s Landing holds an enormous potential for an alternative type of tour and so the “Game of Thrones” themed Dubrovnik tour was born. Aside from being a tour guide (and a great fan of the show/book :-), I am also a part-time lecturer at Dubrovnik International University, where I received my MA degree in Diplomacy and International Relations. I enjoy reading, traveling, meeting new people, exploring new cultures and traditions and sampling different cuisines and accompanying wines. Besides myself, this tour is also conducted by several other enthusiastic hand-picked licensed guides, such as my sister Tonka who is an archaeologist and a former extra from the show. We all believe in a laid-back personal approach and our tours are designed to provide a balanced combination of both facts (Dubrovnik history, local traditions, contemporary life) and fiction (GoT). Try us out, I guarantee you won’t be disappointed!